So there’s your opportunity and that’s why everyone bangs on about it so much. But what really will mark you out to be a survivor from a crowd of perhaps 100, or even more? Person specifications commonly ask for ‘ambitious’ people, willing to take ‘responsibility’ for X, Y and Z and are up for a ‘challenge’. These actual words can vary, but the themes stay roughly the same, so there are three main areas to work on, to stand out. Show you’re a person who’s going places. Show that you have real passion for the opportunity. Show that you have real potential, both in the role and beyond. Ambition is often asked for, but what does that mean? Many candidates boldly state, “I’m ambitious.” Well, so’s my dog when he’s up for a walk, so that obviously won’t help. Better candidates show (rather than tell) that they’re ‘driven’ or ‘driven to achieve at a high level’. That’s better, and full marks for parroting the advert and the use of power-words, but where to? Do they need a chauffeur to get them there? The best candidates demonstrate movement with a direction in mind. They show how they’ve been targeting a goal, navigating a route and passing the milestones. That goal is nearer and this next job is the perfect fit on the next logical stage of that journey. The implication is that the candidate is going places, needs this next job to further their journey and is therefore highly motivated to achieve what the role demands. The ambitions of the recruiting organisation and the candidate appear to be so aligned that selection should be a no-brainer! This needs hard work, skill and care to put together on a tailored CV or application because it’s essential to align your own ambitions with those of the department or organisation. For example, if you talk about being on a mission to make the world a greener place, your journey is unlikely to resonate with an organisation engaged in the strip-mining of national parks. 2) Show you have a real passion for the opportunity. A ‘challenge’ will be intellectually engaging, but that’ll be the same for every candidate, so stating, “I thrive on the challenge of … ,” isn’t going to cut it. Better candidates will manage to show genuine enthusiasm for the role and that challenge, but most people will be really keen, if only for the salary. The best candidates will show that they care, deeply, about the issues surrounding the role, the problem and the ‘challenge’. Showing how you genuinely want to make a difference tells the recruiter that this role is going to be emotionally stimulating for you. Your ‘passion’ will shine through like a torch in a disused mineshaft. There it is – that elusive ‘passion’ that employers look for. Today, passion is the very first thing that many recruiters look for, mostly in that all important personal statement. It’s rare to find and accounts for why many CVs see the shredder within 30 seconds. Candidates often state, “I have been responsible for x, y and z,” aiming to match the role requirements, but the majority of candidates can do that, or they wouldn’t be able to apply. Better candidates will show what they’ve achieved previously where they’ve held those, or similar, responsibilities in the past. Fair play, but others will have set the targets, effectively directing those achievements. The very best candidates will show what they’ve made happen that simply wouldn't have happened if they hadn’t: been there; taken the initiative and identified what needed achieving. Demonstrating creative and proactive initiative will really show your potential. A recruiter will salivate at what you could achieve if they put you in their bigger pond with even more opportunity than you’ve had before. Show that you, above all candidates, are the one with the potential for actually making things happen. So, instead of showing ambition, challenge and responsibilities, or drive, enthusiasm and achievements (better), step higher by showing direction, passion and potential. You may not be able to hit the very best level on all three of these competencies on any given CV or application, but doing so against even one of them may well be enough to mark you out from the crowd and slay the opposition. Extend this thinking when you come across requirements to be a ‘team player’ or have ‘good communication skills’ etc. etc. Don’t leave an employer to infer that you have competencies and attributes, show them. All of this can take a lot of time but if you put that effort in, you can be sure of getting that all important interview invitation. Then the fun really begins! 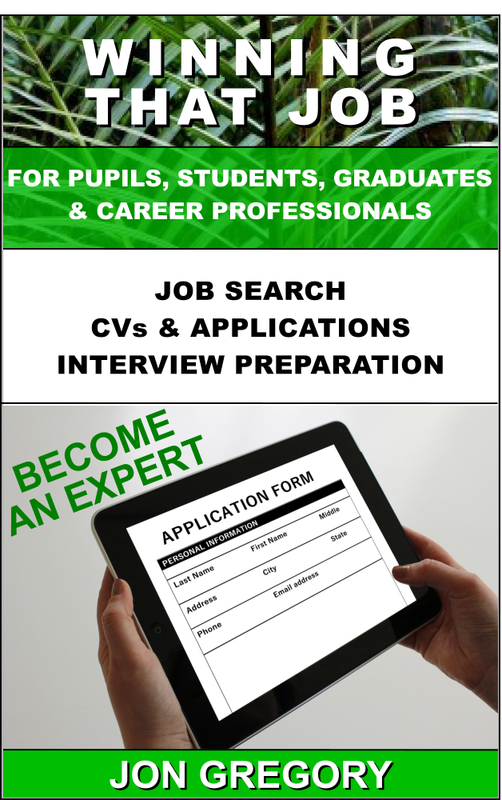 Keywords: CV, application, interview selection, tailoring, stand out, passion, initiative, personal statement.